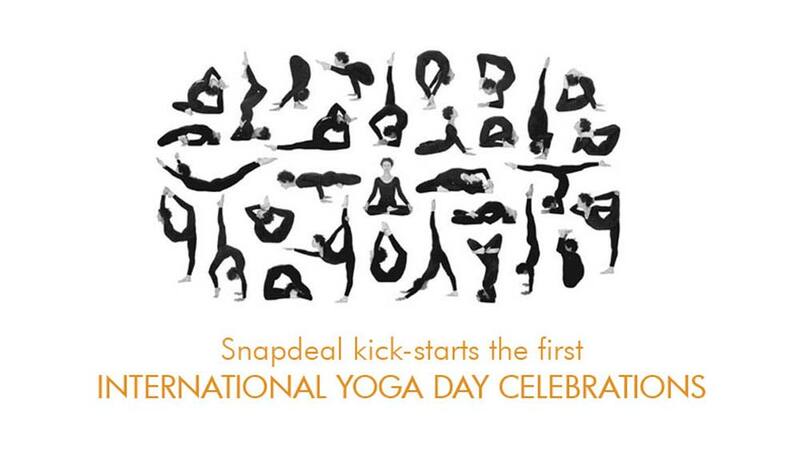 Joining the bandwagon of Wellness retreat, leading online marketplace Snapdeals has introduced yoga workshops for its employees to mark upcoming International Yoga Day celebration; offering yoga merchandise for consumers. Wellness is the new mantra of leading online marketplace Snapdeal, as the company has initiated to mark upcoming International Yoga Day celebration in a big way. Known for its exciting offers, discounts and deals, Snapdeal has introduced exciting yoga merchandise like yoga learning e-guides, mats, modern yoga equipment, yoga-wear and more on the marketplace. Customers can also avail exclusive offers and promotions on over 150 special products, for the entire week starting from June 17. Nevertheless, as a responsible organisation, Snapdeals has organised special Yoga workshops for its employees with Isha Foundation, where the employees can learn five-minute yoga practices that can be easily incorporated in daily routine. Significantly, Isha Foundation is also providing support to the Ministry of AYUSH in the planning, preparation, promotion and propagation of the activities for the upcoming mega event of International Yoga Day celebration on June 21st organised by PM Narendra Modi in New Delhi. Reportedly, the International Yoga Day celebrations would be one of the largest events led by the Indian government across 192 countries, taking India’s traditional learnings to international arena. In one of the biggest yoga classes organized at any venue; 35, 000 people are expected to join a mass yoga demonstrationon the Rajpath on 21st June. HealthifyMe to hire 1,000 nutritionist..